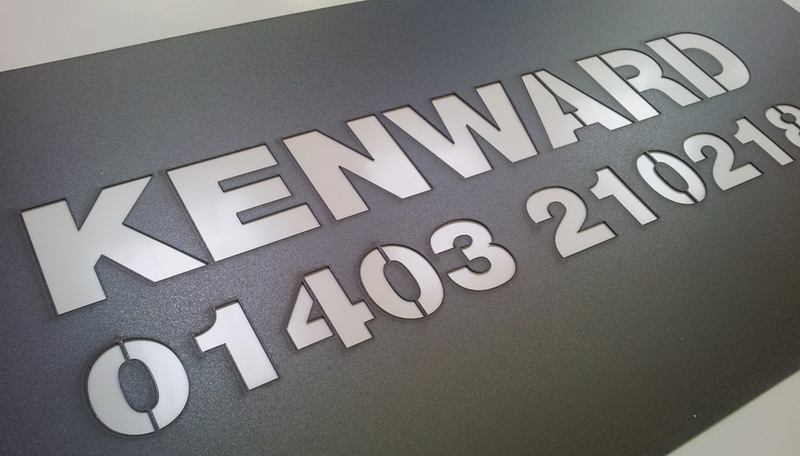 Laser cut stencils are a great way of making lots of temporary signs and have many other uses and applications. At BEL signs, Horsham we have an in-house laser cutting service which means we can create laser cut stencils for text, shapes and logos. These are usually cut from 1mm acrylic which is flexible but hard wearing and offers a practical solution for continuous use and multiple applications. Many of our customers use stencils for applying their logos to building site hoarding but other bespoke uses include stencils for backdrops, temporary signs, set designs and displays. We can cut almost any shape or typeface from acrylic and it’s flat, semi rigid properties make it ideal for spray or brush applied paints.